Hanoi is a capital of thousand years of civilization with ancient relics and peaceful life. If you have a trip to Hanoi, surely you cannot forget the typical atmosphere here, with Hoan Kiem Lake, West Lake, quiet cafés, small streets and street vendors. At this time, let us show you 3 most exciting things to do in Hanoi you should experience when you come here. The first one in the list of things to do in Hanoi is discovering Hanoi’s nightlife. Two highlights of Hanoi's nightlife are the Night Market and the Walking Street. 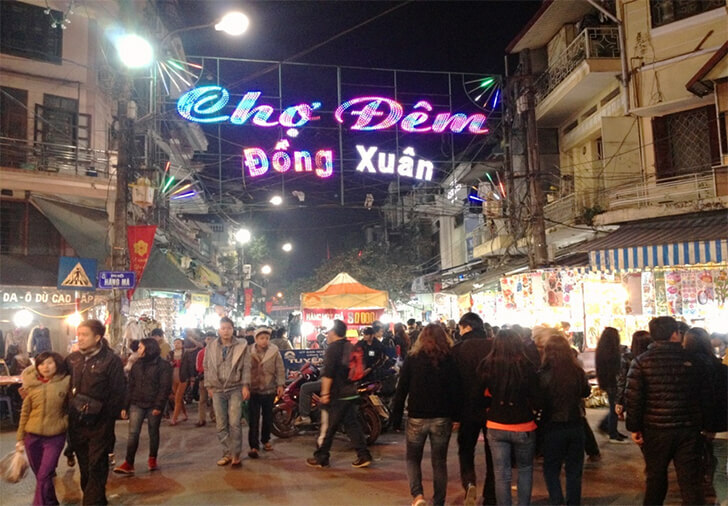 Born in 2003, Hanoi Old Quarter Night Market - also known by many people as the name associated with the famous market of the capital - Dong Xuan Night Market. It has long been one of the most famous places to visit in Hanoi which cannot be missed for residents as well as visitors. This bustling night market is located in Hoan Kiem district, next to Hoan Kiem Lake and the Hanoi pedestrian street, which has been under administration since 2016. It consists of 3 streets including Hang Dao - Hang Ngang - Hang Duong streets, stretching about 1km from Dong Kinh Nghia Thuc Square to the area of ​​Dong Xuan Market. Hanoi Old Quarter night market starts from 18h - 23h on Friday, Saturday and Sunday nights. At this time, the booths and mobile food eateries will begin to welcome visitors. You should go to the market before 19h to save your vehicles in a convenient way and then leisurely enjoy the bustling atmosphere here. If Ho Chi Minh City is famous for its pedestrian street of Nguyen Hue, the capital city of Hanoi has another bright spot. It is the Walking Street at Hoan Kiem lake. Hanoi Walking Street is located in the central area of Hoan Kiem District, around Hoan Kiem Lake. From September 1st, 2016 up to now, the area of Sword Lake, old town and surrounding streets has been planned as a common space for people to play and walk. According to the regulations, the pedestrian streets in Hanoi are divided into two main areas are: the area around the Sword Lake and the ancient streets of Hanoi. The area surrounding the Sword Lake includes the following walking streets: Dinh Tien Hoang, Le Lai, Le Thach, Dinh Le, Nguyen Xí, Trang Tien, Hang Khay, Le Thai To, Lo Su, Hang Dau, Dong Kinh Nghia Thuc Square, Tran Nguyen Han (from Dinh Tien Hoang to Ly Thai To street), Luong Van Can (from Hang Gai to Le Thai To street), Trang Thi, Hang Trong and Hoan Kiem lake. The Walking Street surrounding the Old Quarter of Hanoi includes the streets: Hang Ngang, Hang Dao to Dong Xuan market area, Hang Thung, Ta Hien, Hang Giay, Hang Buom, Dao Duy Tu and Ma May. 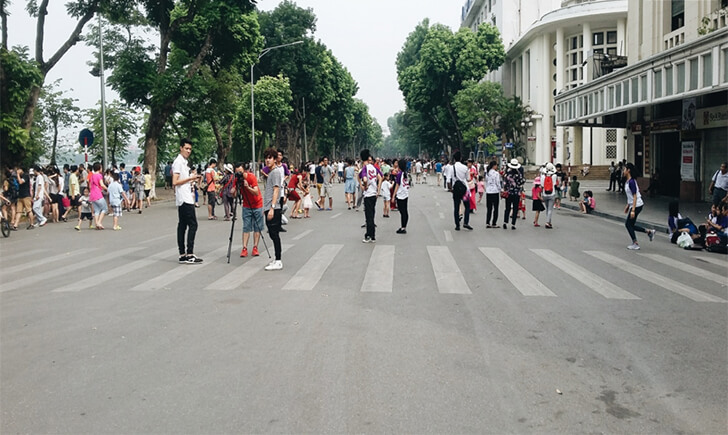 Thus, including the old and new pedestrian streets, Hanoi will have a total of about 6.5 km of walkways. Along the Hoan Kiem Lake, there are many groups of artists performing different styles of music. In addition, many painters can draw the portraits quickly after 15-20 minutes at the price of about 100,000VND. Many shops here sell souvenirs, crafts, and modern toys and you can choose for yourself some interesting items. Along the road, there are toy sellers with soap bubbles, luminescent lanterns and especially, the balancing electric cars which you can hire at the price of 50,000 VND / 30 minutes. Not only children but many adults also enjoy this service. Dinh Le bookstore is an ideal place for literary lovers. Many bookstores, including the Hanoi Book Center, are located on this street. The third position in this article is so attractive for those who love discovering the cuisine of Hanoi. You can come and discover the traditional delicacies in Hanoi like Cha Ca (fish balls), Pho or Banh Cuon (the rolled rice cake) in the Old Quarter. 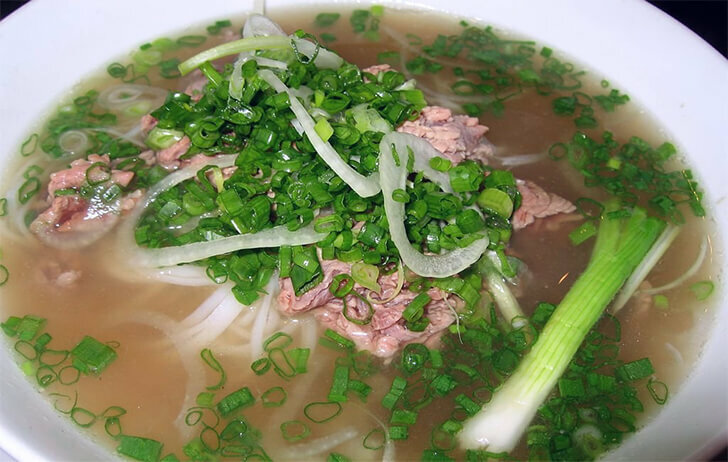 Pho is one of the typical dishes of Hanoi cuisine. Writer Thanh Lam once shared: "Pho is a special gift of Hanoi, not only Hanoi has, but only in Hanoi, it is delicious." Pho Hanoi is famous for its sweet broth, ripe meat, and soft noodles. Some delicious pho restaurants in the old town you should visit: Pho Cuong in Hang Muoi street and Pho ganh at the pavement of Hang Trong street. Bun Cha is called the "gift" of the Hanoians. 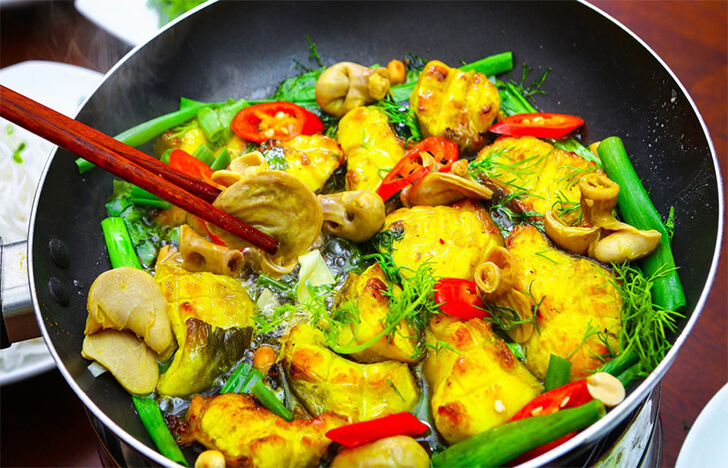 The grilled meat pieces with the golden yellow color; sweet and sour fish sauce have created an attractive dish to lots of tourists. Bun Cha eatery at 14 Hang Than is a highly recommended address that you should visit. Bun Thang – the typical dish containing the essence of Hanoi’s culinary, has a sophisticated way of processing. The process requires a meticulous chef. To cook a bowl of noodles, you need to prepare nearly 20 kinds of materials such as chicken, fried eggs, pork pie, white rice noodles and some fresh vegetables. In particular, the broth should be clear and made from chicken bones and dried squid. The most famous Bun thang shop in the Old Quarter you should visit is Bun thang Cau Go at 11 Hang Hom street. One of the dishes that tourists cannot ignore when coming to Hanoi is La Vong grilled fish. La Vong grilled fish is a perfect combination of the typical spices of Vietnam such as turmeric, dill, shrimp sauce and fish sauce. All of them blended into a dish that is unique, extremely delicious and attractive. When you come to Hanoi, you can go to La Vong Grilled Fish Restaurant located at 14 Cha Ca Street. If you want to learn about the capital of Hanoi with thousand years of culture, the best way is to visit the famous museums in here. 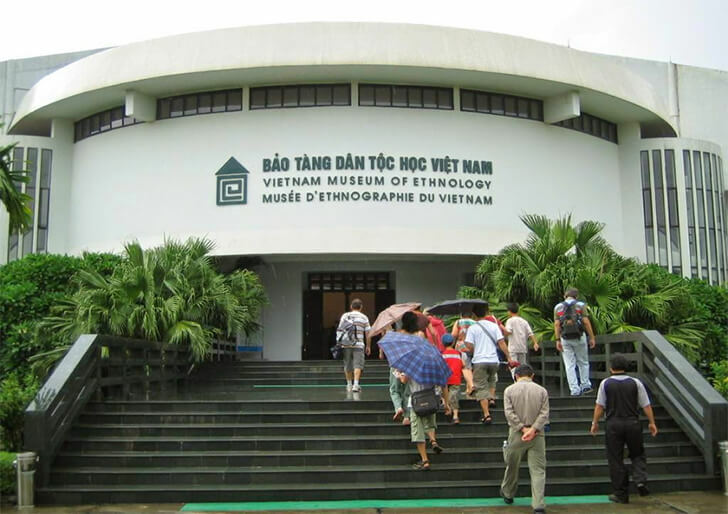 Each museum represents a unique feature of the history and culture of the people in the capital in specific as well as Vietnamese people in general. 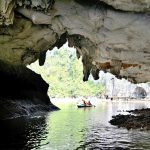 This is the place for visitors to see the most general and clear about the history and culture of 54 ethnic groups living in Vietnam. The museum is located at Nguyen Van Huyen street, Cau Giay district. The total area of this museum is over 4 hectares and includes the three main exhibit areas: the display area in Trong Dong Building, the outdoor display area, and the Southeast Asia exhibition area. Coming to the Museum of Ethnology Vietnam, you will learn about the customs of 54 ethnic groups, from weddings, daily activities until the funeral. In particular, for each ethnic group, you will see their typical houses such as the stilt house, the communal house, and the longhouse. 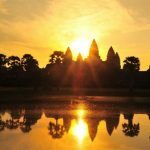 In addition, there are also pictures of Southeast Asia according to different topics. The Vietnamese woman is a symbol of great sacrifice and unyielding spirit. The materials of Vietnamese women have been kept at the Vietnam Museum of Women at 36 Ly Thuong Kiet Street, Hoan Kiem District as a way to honor the heroic Vietnamese woman. You will be fascinated to see the artifacts of the 54 ethnic groups in Vietnam. Wedding customs, daily activities are shown through pictures and living artifacts. In addition, the museum also preserves pictures of heroic women through periods of struggling against foreign invaders or the great contributions of women in the process of building up the socialism. 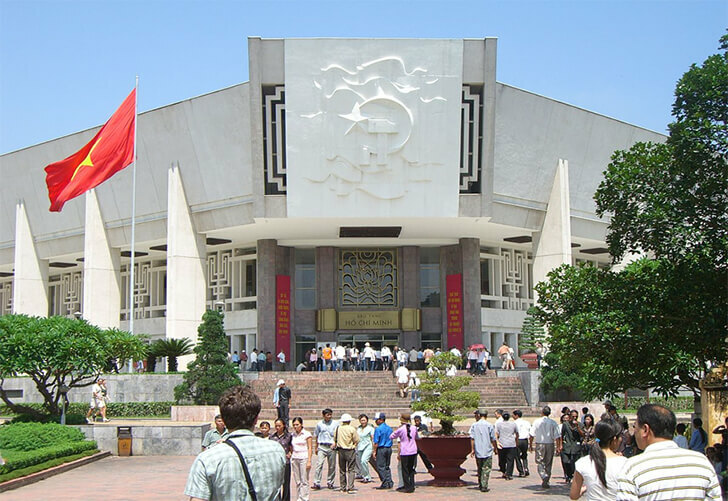 Ho Chi Minh Museum, located at 19 Ngoc Ha Street, Ba Dinh district, Hanoi, is one of the largest museums in Vietnam. This is the place where all life materials of the nation’s great leader – the President Ho Chi Minh presented in. Visitors will learn about the life of Uncle Ho through simple living objects to understand more about his revolutionary activities through letters, documents, and articles at the early twentieth century. The contents of Uncle's life are displayed very scientifically and honestly. Here you will feel the simplicity in the life of the great president of the entire Vietnamese nation. The National Museum of History has two campuses. The first one is located at 1 Trang Tien Street, Hoan Kiem District and the second campus is located at 216 Tran Quang Khai street, Hoan Kiem district. Visiting the museum, visitors will learn more about the artifacts from ancient, middle to modern periods in Vietnam. Each artifact of each period carries different hallmarks and features thanks to the development of culture as well as human mind and labor. The museum is well-stocked and exhibits very well-documented arts, paintings as well as ancient artifacts. Coming to the National Museum of History, visitors will get a better overview of all stages in the process of Vietnamese’s development. We hope that the above information would be helpful for your trip in Hanoi. Have a nice trip here!